I am very excited to announce the release of my new book on November 24, 2015 throughout the USA, Canada and globally. More than 50 million Americans struggle with gut diseases like Crohn’s disease and colitis. With traditional medicine offering little in the way of lasting, low-risk solutions, more patients are turning to the world of natural medicine. With Reverse Gut Diseases Naturally, learn to work with your body to achieve safe and sustainable results that will let you reclaim your life and your independence. Reverse Gut Diseases Naturally contains step by step, do it yourself instructions to help you reverse gut disorders and restore health. 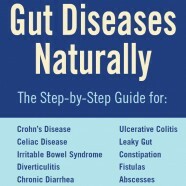 Complete with healing remedies, dietary regimes and protocols for every stage of healing and maintenance, Reverse Gut Diseases Naturally also includes the most effective dietary programs programs proven to help treat gut dysbiosis and other intestinal aliments. Featuring alternative solutions to potentially harmful prescription drugs, as well as safe food choices and a guide to herbal medicine, Reverse Gut Diseases Naturally helps you regain your sense of health and well being. Ease and eradicate Colitis or Crohn’s pain and flare ups in Fremont, Santa Clara, Sunnyvale, Redwood City, Burlingame and Pleasanton with Reverse Gut Diseases Naturally. Because of the breadth of Michelle Honda PhD’s clinical experience and educational background combined, there is not another Colitis Crohn’s natural treatment program like this around. We have seen one other good program, but it is only covers about half of Michelle’s. That’s why Michelle gets the unparalleled results she gets – with consistency. Start on the book’s lessons and embrace the remedies. Get full recoveries from comprehensive natural diet, treatment and solution recommendations. Read and apply the book’s lessons and get on the program. You can restore a normal life again. Many people doing this nutrition and holistic work are just delighted at how their life changes in as little as 30-60 days from Michelle’s safe, natural diet, remedies and solutions. Get started today. Michelle Honda, PhD. is a practitioner of natural and preventive medicine, and uses a health care format that supports the body’s ability to defend and heal itself. In addition to earning her docorate, Dr. Honda holds an advanced degree in nutrition (RNCP), is a Master Herballist, and an IIPA Certified Iridologist. She helps clients with a wide range of difficulties, including allergies, acid reflux, cancer, diabetes, gut dysbiosis (Crohn’s, colitis, and IBS), weight loss and much more. Copyright © 2015 – All Rights Reserved – Michelle Honda Ph.D. Subscribe to our mailing list and receive a FREE sample of Michelle’s book! Can Antibiotics Cause Crohn’s Disease and Colitis? 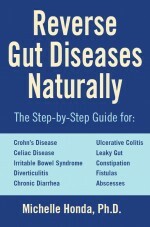 This book will teach you how to strengthen and support your body to more effectively heal your Crohn's or Colitis. Heal? Improve? Naturally? Really? Yes! Yes! Yes! and Yes! This one-of-a-kind workbook shares the necessary steps to move yourself in a positive direction. Your healing is all about nutrition, natural remedies and a holistic approach. Michelle Honda PhD Holistic Doctor gets very good results for those willing to make lifestyle changes and follow her program which empowers the body to balance and heal itself. If you are motivated to improve your health, try this book. I will educate the masses on how you can empower the body to balance and heal itself, to restore vibrant health and to prevent future illness. I will teach parents how to maintain the health of their families, and show you how to harvest the tremendous value and efficacy of natural health remedies and nutritional solutions. Whether by blog, by published books, by the internet or by social media, I will work towards reaching as much of humanity as possible to provide hope, education, information and other resources to help people live happier and healthier lives.